Today, lots of couples decide to have a beach wedding. Without any surprise, brides and grooms would like to make sure that the invites will be matching the beach theme. At the same time, this invitation should be unique and special. So, the question here is how to make the beach wedding invitation unique and exquisite. Here, we have found an answer to this question. Flip-flop wedding invitations can be a perfect option to this end. 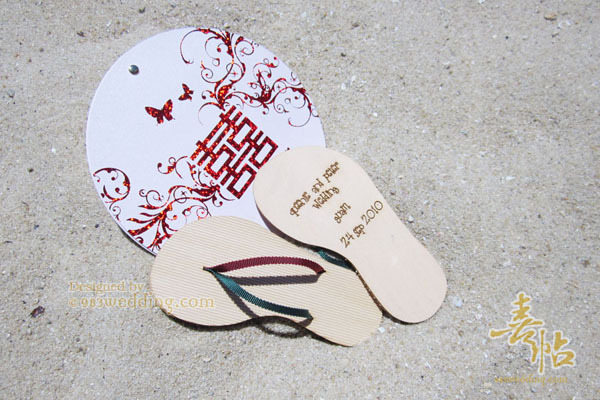 As a matter of fact, it is not uncommon to opt for the idea of flip-flop invitations when it comes to a beach wedding. You may have also seen some of such designs. 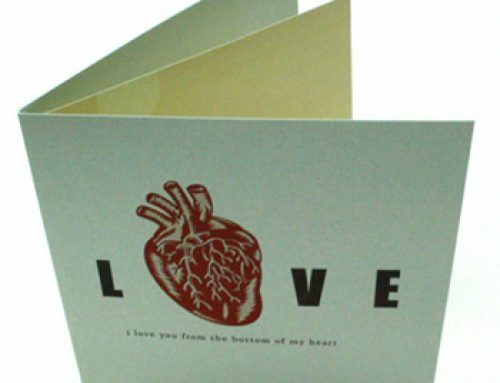 However, most people will just print a pair of flip-flop on the card. This may not suit couples who want something really exquisite. As a result, we have created this design. We go for a totally different route when creating this design. Instead of printing it on the card, we have made a miniature of a pair of flip-flop. This is certainly a very exciting design. In fact, all of us felt extremely exciting when we were testing the different possibilities of making this miniature. 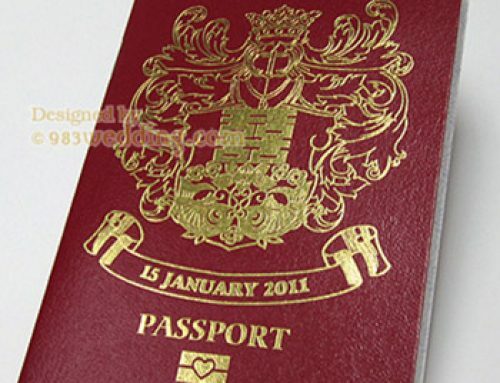 One of the unique features of this design is that it is a 3-dimensional design. And it will look really like a gift. 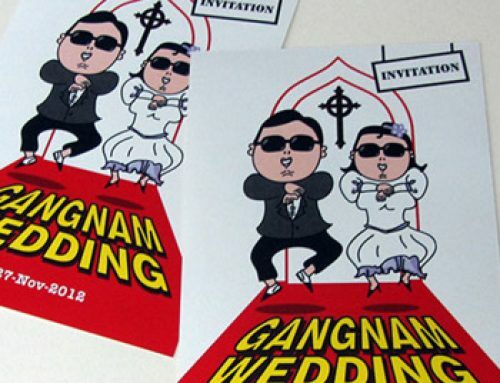 All the guests will be amazed when they see this invitation. 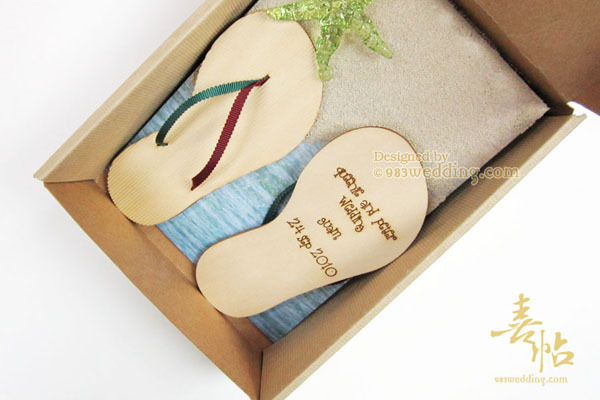 When your guests receive this beach wedding invitation, they will see a pair of lovely slippers with personalized text. 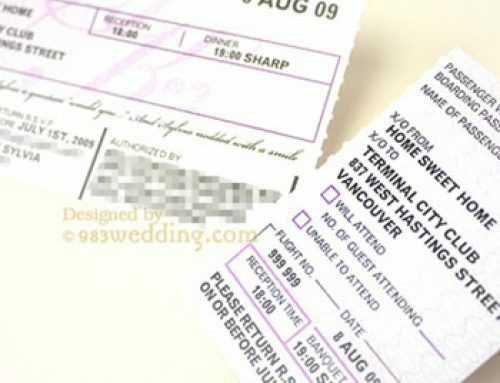 Without any surprise, you will need to box to hold this 3-dimensional invitation. In order to create an unexpected sense, the package box will be not something very fancy. We deliberately make the box extremely simple before your guests open it. Yet, the story will be totally different when they open the box. The guests will see a beautiful beach in the box. The flip-flop wedding invitations are on the beach. Guests will love this lovely idea. 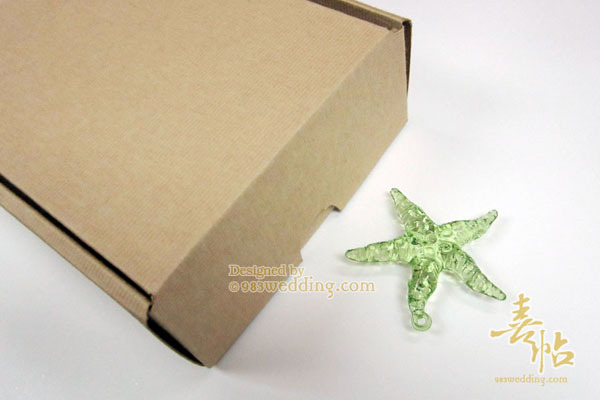 To make this beach invitation even more interesting and unique, you can put some starfish or seashell in the box. All these elements are related to the sea. Your guests will certainly know about your beach theme once they see the invitation. 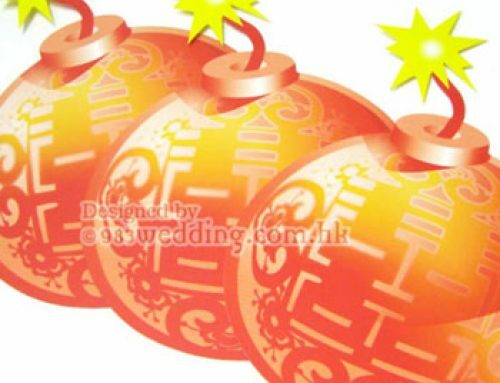 You may wonder how it is possible to put all the wedding information on this design. In fact, the main invitation wording will be put at the bottom of each flip-flop. If it is needed to put more information, there are a few ways to do so. One of the ways is to put it on the “SEA” in the box. In this design, the SEA is print in the box while the sand is modeling sand. The sand is glued to the box. It will be quite impossible to add the information on the “SAND”. Another way to add more information to this design is to put a few inserts into the box. This is probably the most recommended option. Alternatively, we can also design some kind of gift tags attached to the box / flip-flop so that they can hold the information you need to tell your guests.